Goddess and personification of the sea itself. In some versions of the myth she dated back even before Greek mythology was ever a thing. She and Pontos created schools of fish as well as various sea critters and perhaps sea-Gods. The two were, unfortunately, later replaced with Oceanus and Tethys. It was quite a shame after having lasted quite some time to have been shafted, replaced by two new deities. Out with the old and in with the new, time changed a lot of things and mythology evolved with it. I would have given you more info about this Goddess but there really wasn’t that much recorded about her existence. 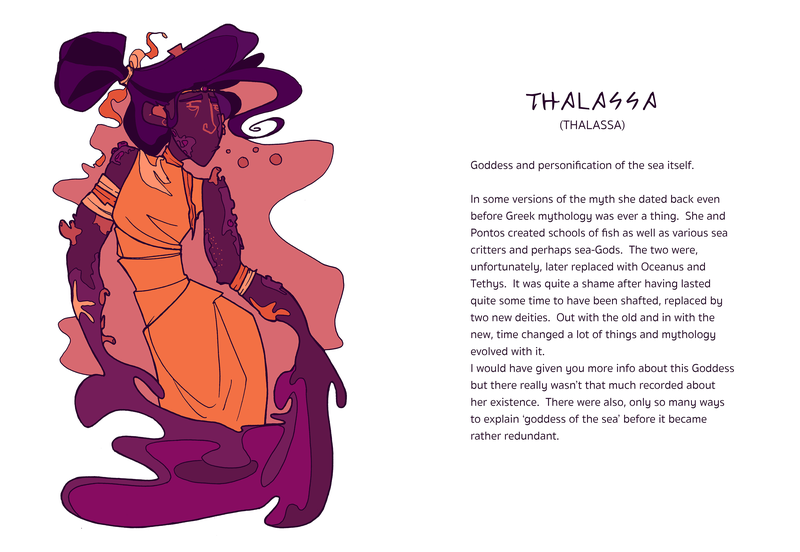 There were also, only so many ways to explain ‘goddess of the sea’ before it became rather redundant.